Not sure what a fabric protecting finish is? Never heard of the wondrous Teflon? Read on to learn more about the fabric protecting finishes currently available on the market. Teflon is a soil resistant finish made from PTFE. It can be applied to any fabric, working on a molecular level so the handle of the fabric is not affected. It prevents spills and dirt from affecting fabric. Subsequently, it is great for upholstery items that are frequently used and difficult to clean. Teflon is also an excellent finish for carpets as it minimises the need for frequent cleaning. When liquid is spilt onto a Teflon treated fabric, it forms a droplet on the surface that can be easily wiped away. Teflon does not need to be reapplied, thus saving money and minimising chemical usage in the long term. 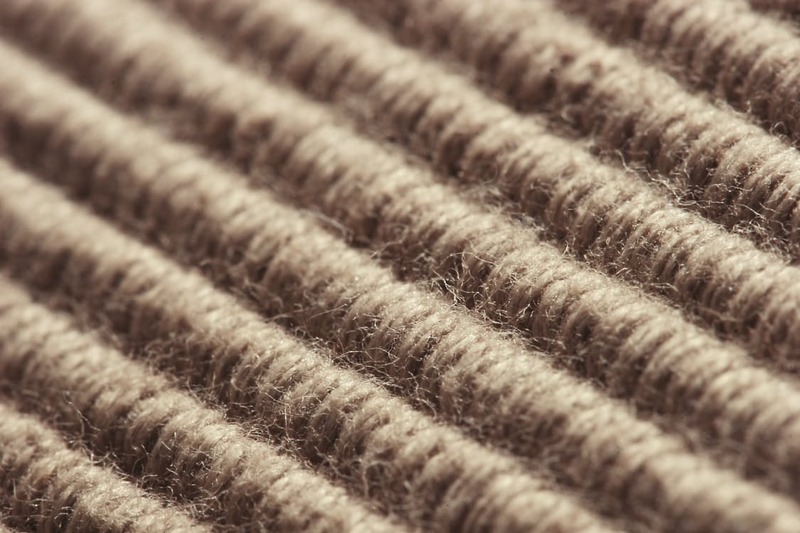 It is a great addition to any carpet or upholstery item as it reduces the frequency of cleaning required whilst prolonging the lifespan of the item. Proban is a flame resistant finish that can only be used on cotton fabrics. Similarly to Teflon, it works on a molecular level. This ensures that it does not affect the handle of the fabric. Proban protects fabrics from naked flames and fires. It is an essential finish for any furniture in public areas due to public health and safety laws. It is also commonly used in emergency services clothing (i.e. firefighter clothes) and for children’s nightwear as a legal requirement. When exposed to flame, Proban treated fabrics form an insulating char. This prevents the wearer from being burnt or melted upon, increasing their safety. Similarly to Teflon, Proban does not need to be reapplied. This saves money and minimises long-term chemical usage.